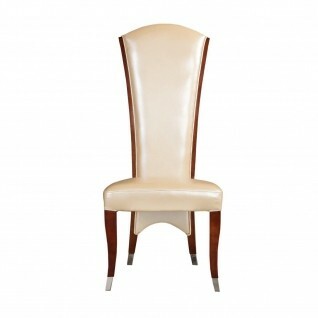 Massimo elegant dining chair features a quilted design detail on the back support. The chair has mid century modern lines with elegant new materials. The velvet upholstery gives the chair a luxurious feel and look while the stainless steel finish on the frame adds a touch of contemporary to this elegant chair by Allamoda Furniture. Available in Black and Gray colors.